Have you been planning a weekend getaway or honeymoon to the midwest? Spend your romantic getaways in Iowa! There’s more to offer than many visitors might think with many places to see in Iowa. 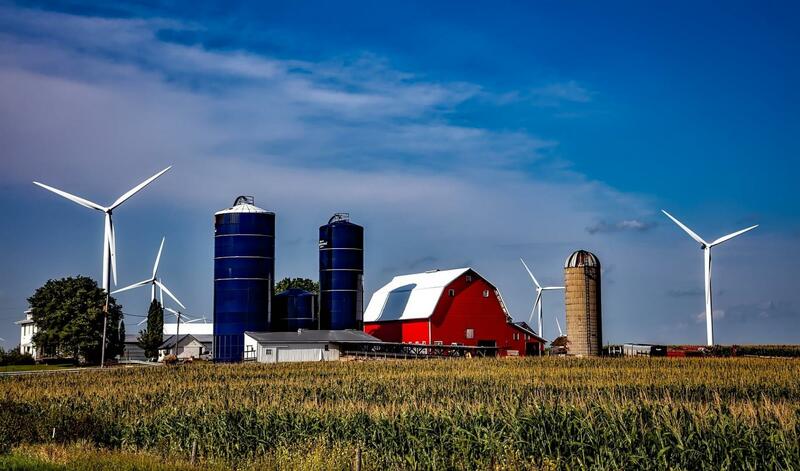 From the upscale city of Des Moines to quaint Dutch inspired villages, the perfect Iowa vacation awaits you. No matter the season, visitors are constantly entertained by the large variety of things to do in Iowa. From snowmobiling in the winter to lazy lake days in the summer. Enjoy a round of golf in the spring and drive-in theatres in the fall. You will never run out of places to see in Iowa. The “Hawkeye State” is located in the centre of the U.S., just above Missouri and below Minnesota. The midwestern state offers some of the most beautiful places to see in Iowa. Iowa houses spectacular attractions and fascinating places to visit in Iowa. While some might prefer serenity in nature for their romantic getaways in Iowa, others might be looking for a luxurious escape to a beautiful resort. No matter your preference, Iowa has what you’re looking for. Below, we have listed out some of our favourite Iowa vacation spots and fun things to do in Iowa along the way. Des Moines is not only the most populated city in Iowa and is home to some of the best Iowa attractions for couples. There are dozens of family-friendly attractions, ranging from outdoor hikes to delicious cuisine and kid-friendly museums. Enjoy a Broadway show, shop at the local Farmers Market, visit an art gallery or even head over to the Iowa State Fairgrounds for some festival fun. Visitors really love the Blank Park Zoo, PapaJohn Sculpture Park, the Botanical Gardens and even the Historical Museum of Iowa. When you come here for your romantic getaways in Iowa, you are guaranteed to never be bored. With an astonishing amount of visitors each year, there’s a ton of accommodation around too. 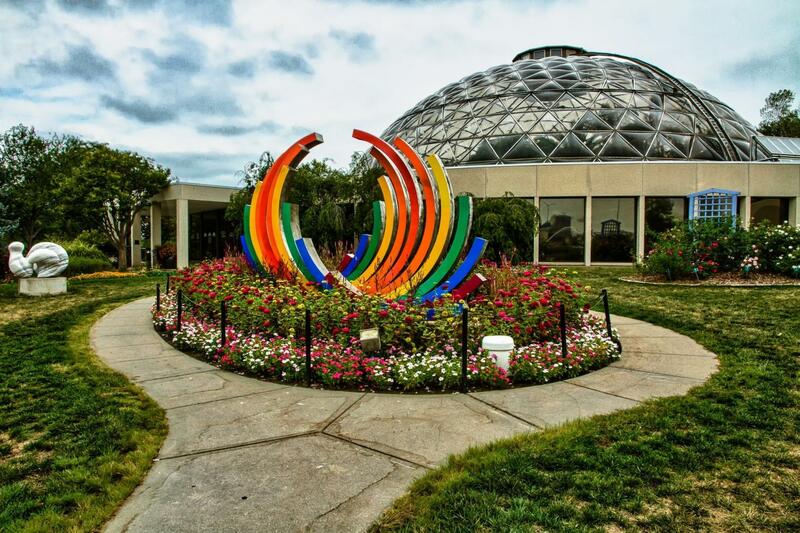 Des Moines is filled with incredible attractions, but none so exquisite as the Greater Des Moines Botanical Garden. Explore the ever blooming flowers in the conservatory or stroll through the perfectly landscaped outdoor garden on your romantic getaways in Iowa. The rich floral scent is sure to accent your romantic afternoon stroll perfectly. 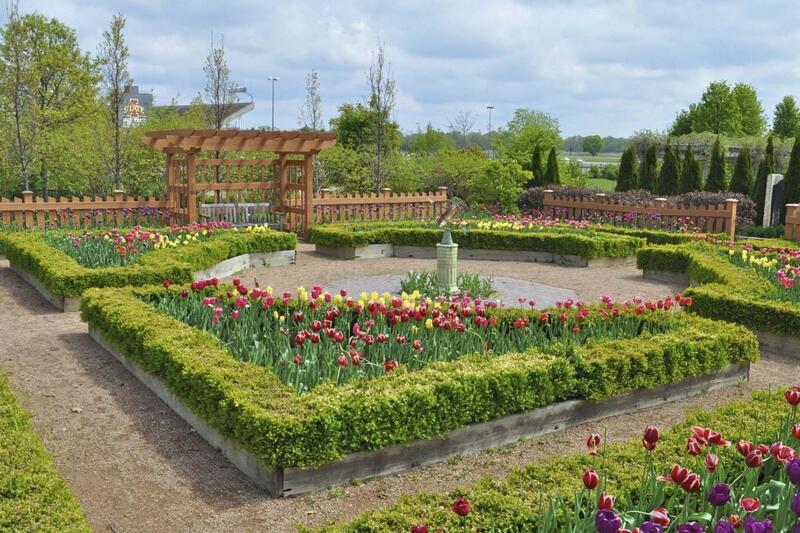 When looking for romantic things to do in Des Moines, Iowa, the Greater Des Moines Botanical Gardens is the ideal Iowa vacations spot for you. The bridges of Madison County make for picture perfect picnics and is one of the best free things to do in Des Moines. 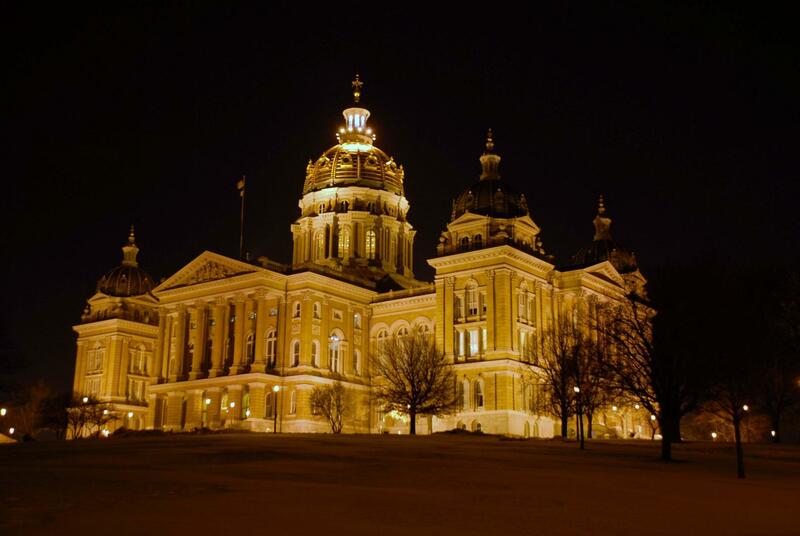 The historic, man-made landmarks are so beautiful that they have consistently been added to countless visitors’ must-see list of things to do in Iowa throughout the years. The stunning bridges have managed to stay intact over the years, regardless of intense storms, time and widely varying temperatures. Come and see for yourself why this Iowa landmark is such a sought after romantic destination for many Iowa day trips. 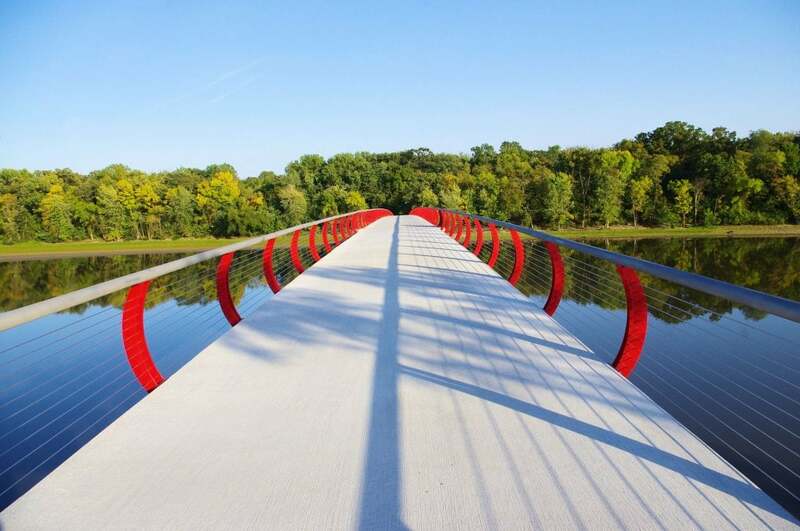 Be sure to check out the many free things to do in Des Moines, like the Bridges of Madison Country! For decades, Drive-in movie theatres have been recognized for romance. At Valle Drive-In, couples can make themselves at home in the front seat of their car on their romantic getaways in Iowa. The drive inns are by are one of the best things to do in Des Moines at night! Serving as Iowa’s oldest drive-in movie theatre, Valle Drive-In plays the latest movies and provides the perfect ambience for you to snuggle up close to your special someone. Located just 30 minutes outside of Des Moines, this is a must-see Iowa attractions this weekend. Located in the exciting city of Des Moines, Iowa, Prairie Meadows Casino Racetrack and Hotel is one of the coolest themed hotels in Iowa. What may seem like a perfectly normal hotel from the outside, transforms into an exciting casino hotel inside. Enjoy some of the free things to do in Des Moines at the hotel’s fitness centre and heated indoor saltwater pool. 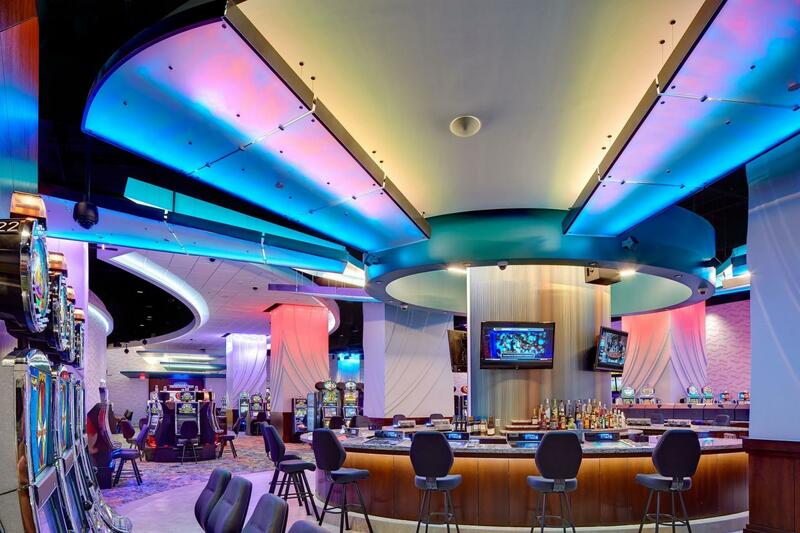 The property features a bar and lounge, a business centre, a restaurant, a buffet, a Casino and a full-on Racetrack. During racing season, guests will be able to bet on live horse races that take place on-site. To top it all off, the hotel is only a short walk away from Adventureland Park and Copper Creek Golf Course. This is certainly a unique weekend getaways in Iowa that you’ll never forget, especially if you choose one of the best places to stay in Des Moines Iowa. Staybridge Suites Des Moines Downtown is on the top of our list for most romantic hotels in Iowa. This exquisite 4-star hotel offers a heated indoor pool, hot tub, state-of-the-art fitness centre, and luxury suites. Guests of Staybridge Suites receive a complimentary daily breakfast and 24-hour room service. It’s no wonder it’s one of the best places to stay in Des Moines Iowa! The property sits in the heart of Des Moines and has the best honeymoon suites in Des Moines for couples. Guests have everything they need and more at this magnificent hotel. Enjoy convenient access to downtown Des Moines attractions, such as Des Moines Civic Center, West River Front Park, and Hy-Vee Hall. With such amazing perks, there’s no question this is one of the best hotels in Iowa for your romantic Iowa getaways. In the city of craft beer, interesting history, beautiful bluffs and Loras College, Dubuque is the ideal city for a weekend getaways in Iowa. Dubuque is iconic for its classic architecture that showcases modern innovations with old school appeal. Dubuque offers visitors an assortment of romantic things to do for couples in IA. On your search for places to stay in Dubuque, Iowa, be sure to check out The Richards House Bed & Breakfast. Depending on the season of your visit, you may be lucky enough to see a majestic eagle on your Iowa getaway. 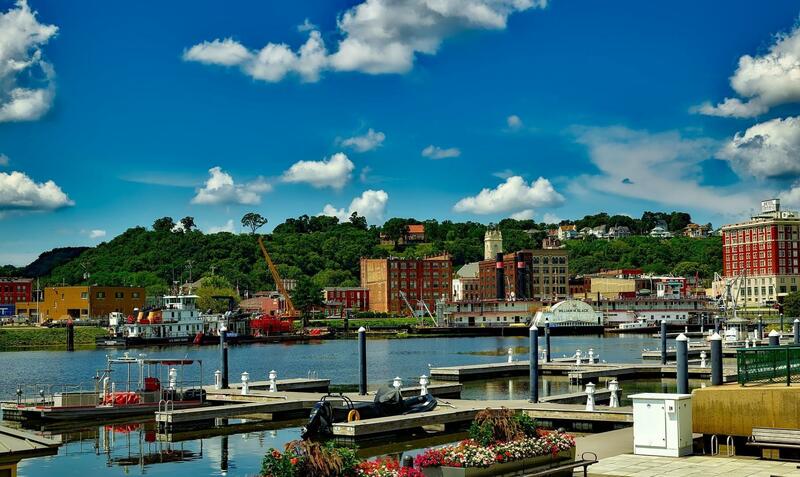 No visit to Dubuque is complete without a ride up the Fenelon City Elevator for a panoramic tri-city view, as they’re among the best Iowa attractions. The Fenelon Place Elevator is the world’s shortest and steepest scenic railway. The elevator is 296 feet in length and brings visitors 189 feet straight up. 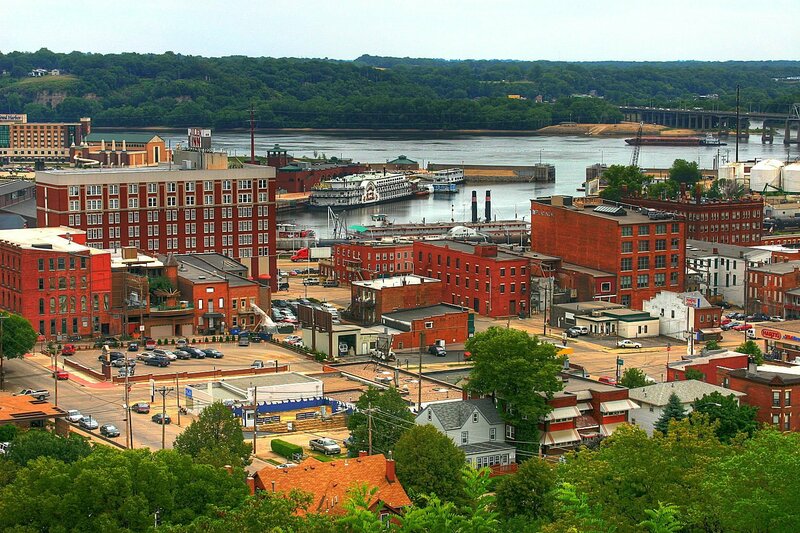 It’s one of the most popular Dubuque attractions, boasting a magnificent view from the top of Fenelon Place. Bring your camera to snap shots of Fourth Street, from Fourth Street, the historic Dubuque business district, the Mississippi River and the three states alongside it. Located five miles south of Dubuque, Crystal Lake Cave is without a doubt one of the most beautiful places to see in Iowa. Adventure loving couples can admire impressive stalagmites, helictites and rare anthodites throughout the massive cave system. It’s one of the best things to do in Dubuque Iowa. Although the cave is a popular tourist destination, the delicacy of the cave’s natural formation has been carefully preserved. The cave lighting along with the faint trickle of water creates the perfect romantic ambience. After a fun-filled cave adventure, enjoy a picnic for two overlooking the beautiful Crystal Lake. This is a must-see on your list of things to do in Iowa this weekend. Situated on a hilltop overlooking the Mississippi River, Mont Rest Inn is one of the best places to stay in Iowa. 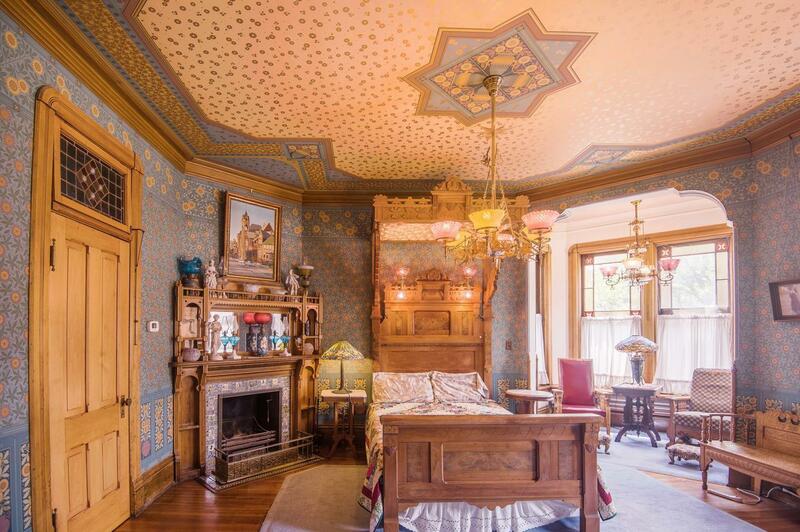 When you stay at this circa-1893 Bed & Breakfast, you will get to partake in an exciting murder mystery dinner as well. This is by far one of the coolest themed hotel rooms in Iowa. Most rooms also feature river views, fireplaces, whirlpool tubs, skylights, stained-glass windows and even canopy beds. 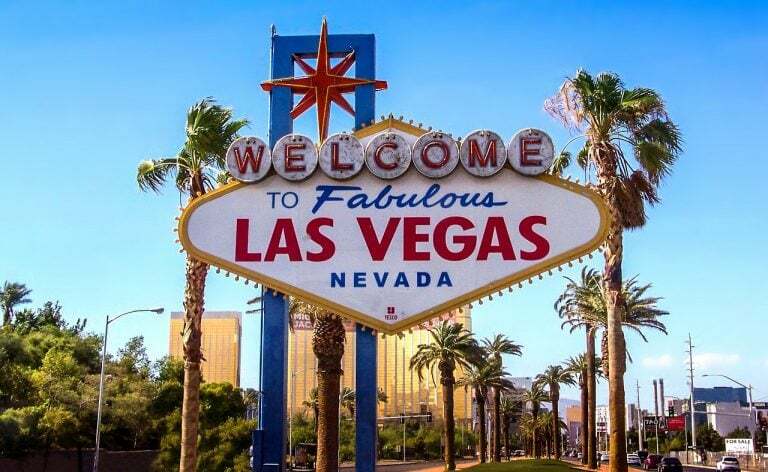 Guests will also receive access to a hot tub, on-site massages, complimentary refreshments and even live dinner shows paired with delicious cuisine. If you are spending your Iowa getaways in North Bellevue, Mont Rest Inn should be on your list of cool places to stay in Iowa. On your search for places to stay in Dubuque, Iowa, be sure to check out The Richards House Bed & Breakfast. The Richards House is an elegant building dating back from 1883. The posh, Victorian-style B&B is located right next to the National Mississippi River Museum & Aquarium and the Grand Opera House. It’s your ideal accommodation for your romantic getaways in Dubuque Iowa! For some extra romance, stay in one of the honeymoon suites with your lover. Relax in the cozy lounge area with a fireplace and a beautiful piano to play at your own leisure. The Richards House is one of the best places to stay in Dubuque Iowa. Sioux City Iowa is renowned for its innate ability to combine history with modern arts. So, if you enjoy art and history, Sioux City is a must-see for your Iowa vacation. 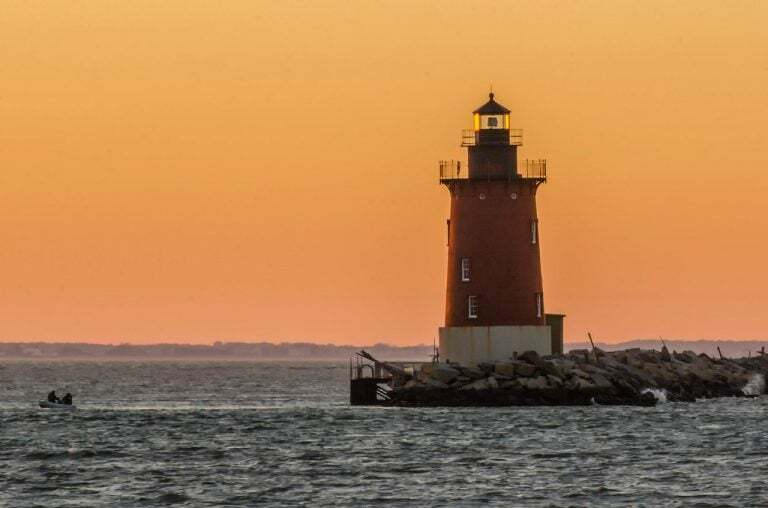 This adorable town is home to the Lewis and Clark Interpretive Center, the Children’s Museum, the Sergeant Floyd River Museum, and many more. It’s an ideal destination to spend your romantic getaways in Iowa. Spend a romantic afternoon exploring Sioux City Art Center or share a romantic picnic at Stone State Park. Get in touch with your artsy side on your romantic getaways in Iowa, Sioux City. 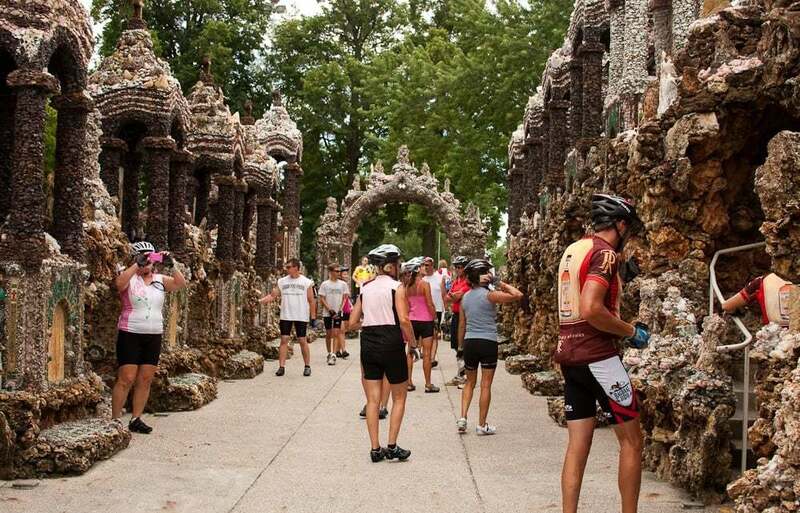 Frequently described as the Eighth Wonder of the World, the Grotto of Redemption is a must-see on your Iowa vacations. The Grotto of Redemption is composed of nine man-made grottos that each depict a scene from the life of Jesus. Over four million dollars worth of minerals like Quartz, Topaz, Calcite, Jasper as well as stalactites and stalagmites can be explored here. The Grotto is located in West End, Iowa near Sioux City. With more than 100,000 visitors each year, there is no question that this is a must-visit for any weekend getaways in Iowa. Sioux City, Iowa is known for its diverse cultural arts and music scene. For your romantic getaways in Iowa, don’t miss the opportunity to get dressed up and enjoy an evening out at the Orpheum Theater. Nestled close to the Iowa/Nebraska border, this exquisite theatre features beautifully restored architectures, stunning antique chandeliers, and an inviting auditorium. Come and experience a special theatre performance unlike anywhere else, it’s one of the most romantic things to do in Sioux City! Located walking distance from the Tyson Events Center, the Holiday Inn Sioux City is the perfect location for your weekend getaway in Iowa. The hotel features an indoor pool, fitness centre and on-site restaurant Charlie’s American Grill & Spirits. After dinner, enjoy your favourite cocktail and share stories with one another around the romantic fireplace in the lounge. This is one of the best hotels in Iowa that’d close access to the Lewis and Clark Interpretive Center and the Sioux City Art Center. This romantic Sioux City hotel is located just minutes from the Sioux City Airport, the Argosy Casino and the Tyson Events Center. 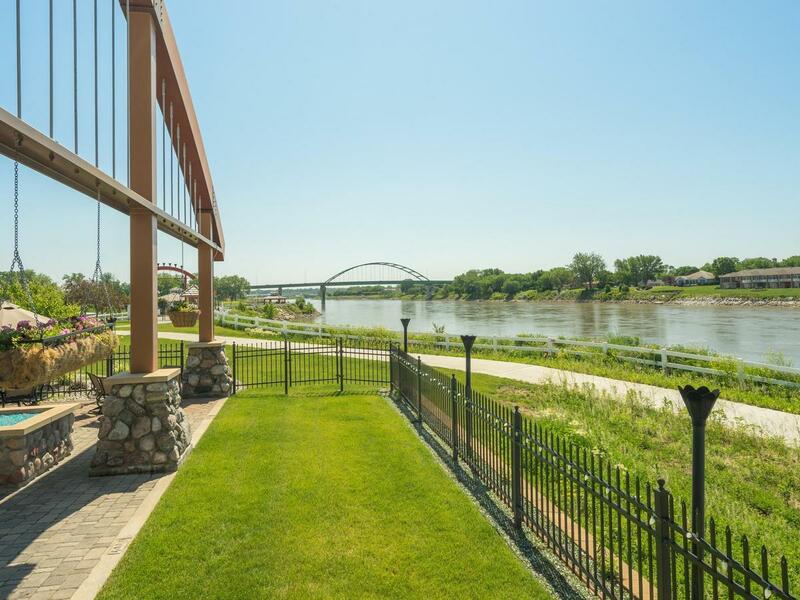 Hilton Garden Inn is one of the most romantic hotels in Iowa, conveniently located and overlooking the Missouri River. The ambience inside exudes elegance and provides the perfect romantic getaways in Iowa for couples in love. Spend your romantic getaways in Iowa exploring charming Iowa City, IA. This beautiful city is located along the Iowa River and is home to the University of Iowa. Visit craft breweries, wineries, delicious restaurants, museums, concert halls, parks and more on your romantic weekend getaway. Coralville Lake is a popular destination for couples and makes for the perfect summer Iowa vacations. Cooler months provide the most stunning backdrop for couples as they explore the University of Iowa’s campus. Go shopping and dine along the beautiful red brick streets downtown. 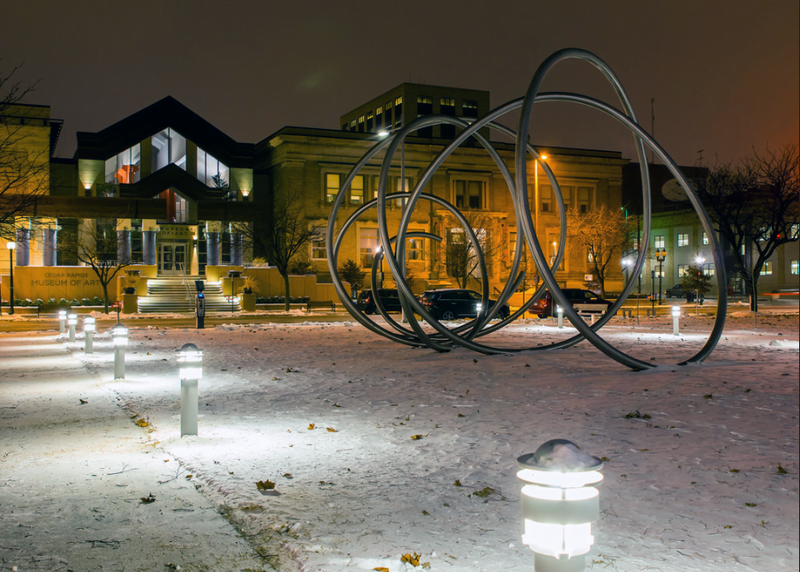 Iowa City is also known for its seemingly endless list of festivals and events, making any time of year the perfect time to visit. Stay in some of the best hotels in Iowa City and enjoy several Iowa City attractions during your visit. Embark on a unique tour through the Driftless Glen Distillery in Baraboo, Iowa. It’s one of the most romantic things to do in Iowa city! Known for its unique rye whiskey and bourbon, couples can sample some of the best local spirits along this interactive and spooky Spirit Walk tour. Your fearless guide will talk you through the distilling process while walking you through Baraboo’s most haunted area. You and your love will have the opportunity to sample delicious wines and various spirits. But, beware, you may pick up a ghost friend along the way. Visiting a distillery is one of the best things to do in Iowa this weekend! The Graduate City Hotel is one of the most popular hotels in Iowa City. It’s conveniently located on the University of Iowa’s beautiful campus. The hotel is one of the coolest themed hotels in Iowa and is styled to resemble a university campus library. Guests who stay here will have convenient access to Englert Civic Theater, the University of Iowa Museum of Natural History and the Coral Ridge Mall. This is one of the best hotels in Iowa for couples on a weekend getaway. Loaded with quaint Bed and Breakfasts, cosy coffee shops, a stunning downtown skyline and beautiful scenery is Ames, Iowa. So make sure you visit this charming town on your romantic Iowa getaways. Ames has a variety of amazing accommodations including luxury hotels in Ames, IA to romantic Inns. Ames, Iowa attractions include unique wineries and breweries, shopping, golfing, and plenty of outdoor activities to partake in. This charming town is home to Iowa State University and provides the most incredible autumn backdrop for engagement photos. Though every season in Ames is absolutely gorgeous, the rich colours of Autumn really stand out, making for the perfect outdoor Iowa wedding ceremony. From beautiful, natural landscapes to pristine city-scape views, capturing your love through photography has never been more romantic! When it comes to romance, Ames is the best place to visit in Iowa. No trip to Iowa would be complete without a visit to the historic Boone & Scenic Valley Railroad. 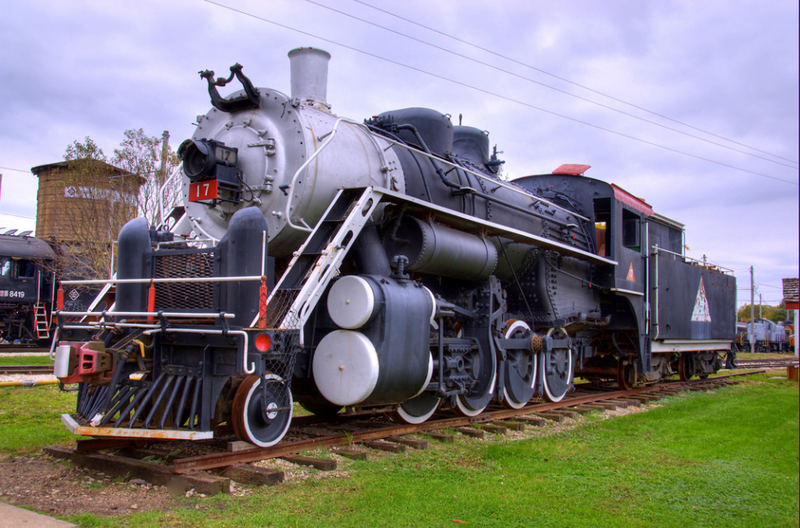 There are numerous locomotives that operate along the beautiful railroad system. This tour features open-air cars, unparalleled country-side scenery and sky-high railroad bridges. Couples can enjoy various special events such as dinner trips, sunset trips and even the occasional winery/brewery railroad trip. This is without a doubt one of the best places to see in Iowa on your romantic Iowa getaways. Known as one of the best wedding venues in Ames, Reiman Gardens is the perfect place to visit in Iowa any time of the year. The tranquillity and natural beauty provides the perfect setting for your romantic getaways in Iowa. Take a romantic stroll through the Jones Rose Garden or see elegant butterflies in the Christina Reiman Butterfly Wing. The backdrop is extraordinary and is sure to provide the most picturesque date with your special someone. A visit to the Reiman Gardens is by far one of the best things to do in Ames Iowa. Share on a delicious bottle of wine, while overlooking the beautiful vineyard at Santa Maria Vineyard & Winery. 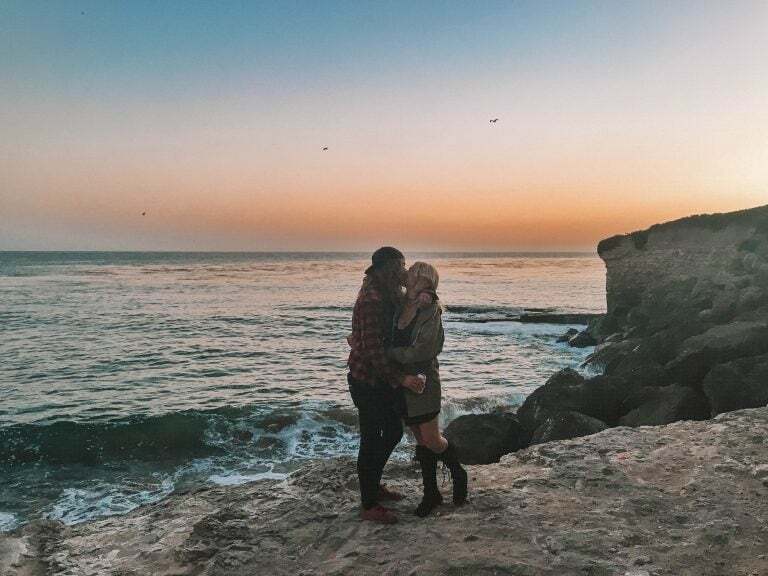 Couples can enjoy amazing scenery, live music, house made wine, and incredible wood-fired pizza. Overlooking sprawling rows of Iowa grapes, this is easily one of the best places in Iowa to visit. So make sure you check it out, as it’s one of the best things to do in Ames Iowa. Located near Iowa State University, the Sleep Inn & Suites provides convenience and elegance for your Iowa vacation. Thicosyzy hotel features a heated indoor pool, complimentary breakfast and a hot tub. Guests who stay here will have convenient access to Jack Trice Stadium, shopping at the North Grand Mall and close access to the Reiman Gardens. It’s by far one of the most romantic places to stay in Ames Iowa for your weekend getaway. The Hilton Garden Inn in Ames is one of the best places to stay in Iowa this weekend. Make the most of the luxury amenities like an indoor hot tub on your romantic getaways in Iowa. Enjoy your favourite cocktail at the Pavilion Lounge or grab a snack from the 24-hour Pavilion Market. Hilton Garden Inn is only a short 10-minute drive from Boone Speedway and the Brunnier Art Museum and Reiman Gardens. This will be the perfect place to stay for your vacation in Iowa, Ames this weekend. Located on the Mississippi River in Eastern Iowa, Cedar Rapids is the perfect place to visit on your next romantic getaways in Iowa. Recently, Cedar Rapids was voted as one of America’s Best Cities on the Rise. 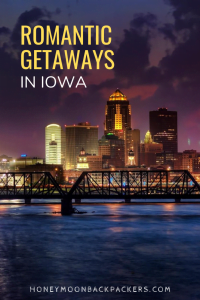 The expansive city is truly the heart of eastern Iowa and is guaranteed to provide the perfect Iowa vacations for you. Cedar Rapids Iowa is a hub for world-class art, history, shopping, stunning architecture, luxury and more. 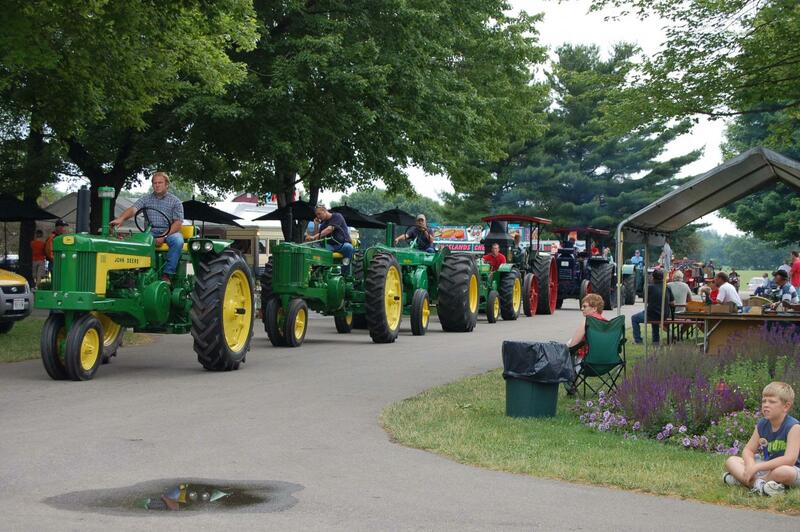 There are numerous festivals to enjoy and endless romantic things to do in Iowa. Whether you prefer adventure, history or relaxation, Cedar Rapids is one of the most fun places in Iowa to visit. So make sure you check out the best things to do in Cedar Rapids Iowa while you’re here! Visit award-winning wineries and breweries, dine at impeccable restaurants or enjoy plenty of outdoor activities as well. Accommodation here ranges from intimate Bed & Breakfasts to romantic luxury hotels in Iowa. Undoubtedly, Cedar Rapids will be the perfect weekend getaways in Iowa. Join a digital adventure game that takes your around the city on an interactive mission using your smartphone. 3Quest Challenge is the perfect way to have fun while exploring various places in Iowa. You’ll be guided to various locations collecting clues and answering challenge questions. Overall, the objective is to have fun, explore and have a bit of friendly competition as well. Locations for the Clue-Gathering Adventure are in Cedar Rapids & Des Moines, Iowa. This stunning hotel is the perfect location to celebrate your love on your upcoming romantic Iowa getaways. DoubleTree Cedar Rapids by Hilton Hotel is adjacently attached to the U.S. Cellular Arena and Convention Center, putting this beautiful hotel at the centre of Cedar Rapids. DoubleTree Cedar Rapids by Hilton features a luxurious rooftop restaurant overlooking the city and a gorgeous indoor pool. The best part about this hotel is the delicious complimentary chocolate chip cookies upon arrival. If you are planning a trip to Cedar Rapids, you simply must put DoubleTree by Hilton on the top of your best hotels in Iowa list. 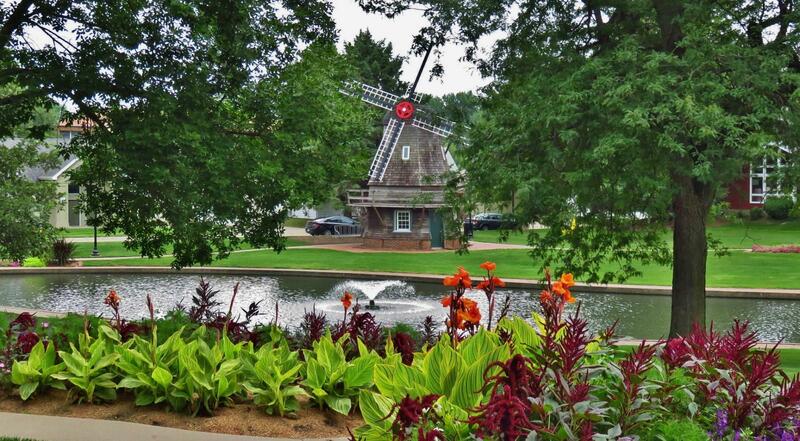 The stunning Dutch community of Pella is easily one of the most beautiful places to visit in Iowa for couples. Pella has a unique charm to it like no other city in the U.S. The city of Pella has received awards for its impeccable tourism and hospitality which is why it’s a perfect Iowa vacation spot. Home to the infamous Tulip Time Festival, Pella is number one in providing a romantic weekend getaways in Iowa. Enjoy an afternoon at Lake Red Rock, or learn about the cities rich Dutch heritage at the Pella Historical Village. There are tons of recreation activities, beautiful scenery, delicious cuisine and more. Stay in some of the most beautiful hotels in Iowa. 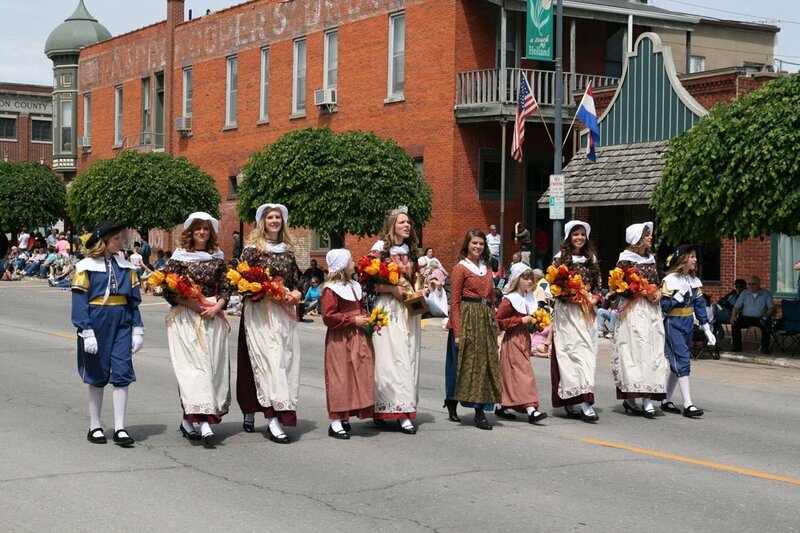 From the Tulip Time Festival to the Sinterklaas Christmas Parade, there are plenty of things to do in Pella, IA. No doubt this amazing little town will provide you and your love with the most relaxing and romantic getaways in Iowa. Looking for the perfect Spring-time festival for your romantic weekend getaways in Iowa? Then Pella is your place. 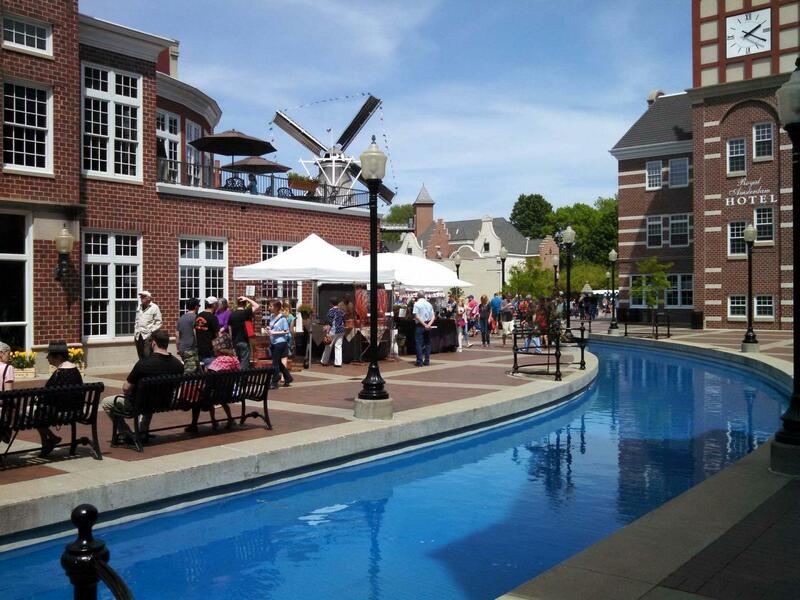 Each year, the city of Pella welcomes over 150,000 visitors for the amazing 3-day spring-time celebration. Couples can explore seemingly endless gardens that are filled with beautiful blooming tulips. In a town that is known for its very Dutch heritage, visitors can expect delicious Dutch food, elaborate Dutch costumes complete with wooden shoes, and incredible floats for the parades. Notably, the iconic Vermeer Windmill is the centre of the festival and makes for quality photo opportunities with you and your sweetie. If you’re looking for the perfect motel for your Iowa getaways, Baymont by Wyndham is the perfect place for you and your sweetie. The quaint motel exudes the same lovely charm and elegance as the picturesque town of Pella. The motel features a beautiful indoor swimming pool, hot tub and select rooms even include an in-room jacuzzi. Guests of the Baymont by Wyndham will receive a delicious daily complimentary breakfast and some of the best hospitality in Iowa. When you book a room, you’ll see for yourself why this is one of the best places to stay in Iowa for couples. 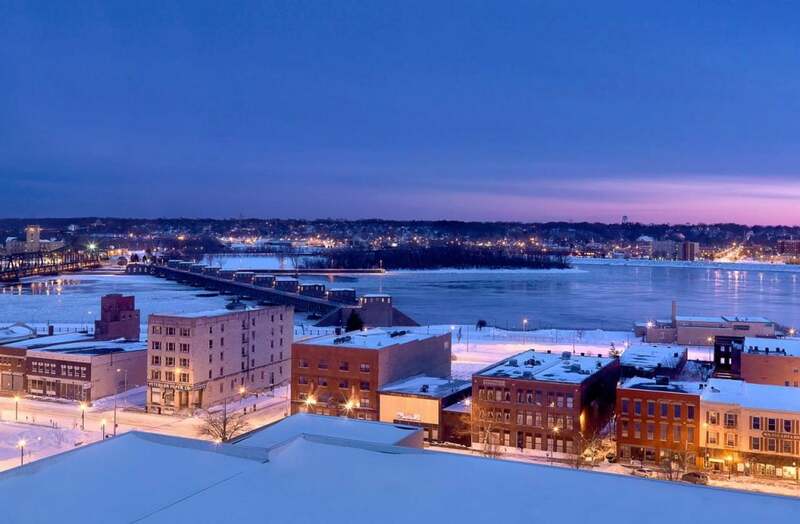 Known as one of the safest cities in Iowa, Waterloo, Iowa is the perfect Iowa getaways for couples wanting a peaceful weekend. Here, you will find an extensive selection of museums in the Museum District of Iowa. Museums such as the Ice House Museum, the Grout Museum of History and Science and even the John Deere Tractor and Engine Museum are just a few. Additionally, there are several festivals throughout the year, providing couples with plenty of things to do in Waterloo, Iowa. Spend the day at one of the countries best water parks, the Lost Island. With so many Waterloo, Iowa attractions, you will have a heap of options for your romantic getaways in Iowa. Located in Mason City, Iowa, visitors can attend a unique tour of the historic Frank Lloyd Wright’s Park Inn Hotel. This tour guides you through an amazing story of how an active group of citizens saved the historic hotel from the wrecking ball. Here you’ll be walkin the same halls as stars like Jack Jenney and Glenn Miller. You also get to tour the City National Bank and learn how the Farm Crisis and Great Depression caused the bank’s foreclosure. The unique property has survived many years in various forms of restoration. Learn all about Mason City’s architecture, history and fundraising efforts at this Iowa attraction. Get treated like royalty at the Hilton Garden Inn. This hotel is just a few minutes drive from the University of Northern Iowa and provides close access to Frank Lloyd Wrights’ Historic Park. Guests of the Hilton Garden Inn can enjoy a large indoor pool and on-site restaurant; The Garden Grille and Bar. If you are planning a romantic vacation in Iowa, Waterloo, be sure to reserve a room at the beautiful Hilton Garden Inn. 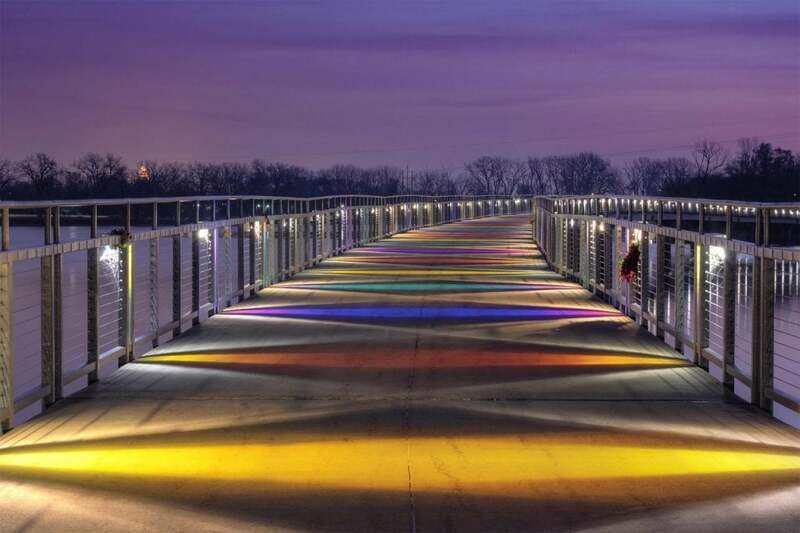 A city recognized by its fascinating bridges, Davenport, is an ideal romantic getaway in Iowa. Davenport is located along the Mississippi river and is rich in cultural diversity. Couples visiting Davenport will be front row, center to unique and diverse art, music, architecture, history and nature. Spend your mornings exploring the beautiful city and take a walk through the towering Skybridge. Enjoy the incredible river views through the clear glass walls that hover over the city streets. Have a riverside picnic or explore the Vander Veer Botanical Park. Nature lovers also have plenty of options, as there are numerous trails, flower gardens and ponds to discover. No Iowa vacations would be complete without a couples massage in Davenport, Iowa. With so many great things to do in Davenport, your weekend getaways in Iowa is sure to be full of discovery and romance. Located just outside of Davenport, LeClaire is the picture perfect location for an intimate weekend getaways in Iowa. The small community attracts visitors seeking outdoor adventure, lovely hospitality and charming accommodation. There are many scenic places in Iowa, LeClaire to explore and many romantic things to do in Iowa for couples. A visit to Lock and Dam #14 gives visitors the opportunity to spot bald eagles soaring over an incredible river view. From the Buffalo Bill Museum to wandering the Cody Road Historic District, couples that visit LeClaire enjoy a serene, relaxing getaways in Iowa. Situated directly in between Dubuque and Davenport, Maquoketa, Iowa is a perfect Iowa day trip for couples. The landscape is perfect for couples looking for fresh air and adventure. Maquoketa, Iowa is known for it’s incredible Cave collection and fascinating history. Spend your romantic weekend getaways in Iowa exploring stunning caves, hiking through beautiful forest or learning about the Hurstville Lime Kilns. Once you have had your fill of adventure, enjoy a dinner for two at one of several delicious restaurants in town. Finally, wrap up your perfect evening at the 61 Drive-in Theater, one of the oldest remaining outdoor theatres in the country. Home to an on-site bowling alley and a luxurious spa, this Davenport, Iowa hotel is walking distance from the Mississippi riverfront. Dating from 1915, this luxury hotels in Iowa features chic rooms and suites, whirlpool tubs and balconies. Guests at Hotel Blackhawk can relax at the in-house spa, indoor pool, hot tub, and an on-site Bistro and Lounge. Additionally, this all-inclusive Iowa hotel has been named one of the best spa resorts in Iowa. Ideally located just three miles north of Davenport, Quality Inn & Suites hotel is one of the best places to stay in Davenport this weekend. The property is close to downtown Davenport, giving guests access to some of the best Iowa attractions on their romantic weekend getaways in Iowa. Enjoy a daily hot breakfast, make your own waffle bar and an indoor pool with a hot tub. There is also an amazing walking/cycling path for your convenience. One of the best places in Iowa to enjoy sunshine and waves is in Okoboji, IA. Located on the Iowa Great Lakes, this beach town provides waterside entertainment for all ages. During the summer months, Arnolds Park is the go-to destination and provides tons of rides, water sports, fun restaurants, shopping and dinner boat tours. 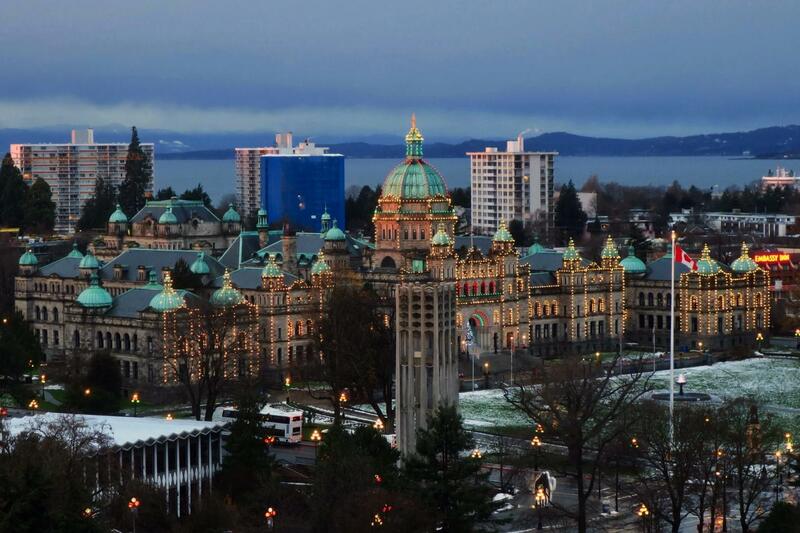 Don’t assume that this fun lake town shuts down for the winter… In fact, the winter months are just as inviting. Okoboji hosts its own version of the Winter Olympics over the Iowa Great Lakes. The area has incredible Iowa attractions and pulls visitors from all over the country. Some fun things to do for couples in Iowa include Summer Theatre shows, cultural activities, museums and the obvious water front, resort town activities. For romance, laughter, and excitement, make Okoboji your next pick for romantic weekend getaways in Iowa. The Iowa Great Lakes is easily one of the most beautiful Iowa attractions and is a must see for any Iowa vacation itinerary. These glacier-carved lakes extend from the Minnesota border southwest several miles and cover over 15,000 acres. The Iowa Great Lakes includes five smaller lakes: West Okoboji, East Okoboji, Upper Gar, Lower Gar, and Minnewashta lake. Two of our favourites are the largest lake, Spirit Lake and the super blue, spring-fed lake, West Lake Okoboji. No trip to Okoboji would be complete without exploring at least one of these amazing lakes. This fun amusement park features many rides and attractions. This includes the famous wooden ‘Legend’ Roller Coaster. 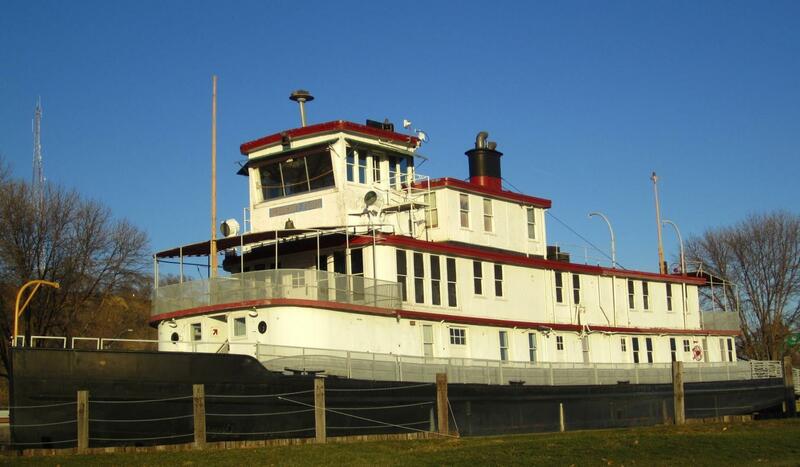 It’s Situated on the beautiful West Lake Okoboji and offers spectacular lake views from the 65 foot Ferris Wheel. The park is suitable for any age, and no you don’t need children to get in. If you like carnival food, you’ll love the selection here. Enjoy everything from Dippin Dots and cotton candy to giant turkey legs and hotdogs. If rides aren’t your thing, take a stroll along Queen’s Court and enjoy shopping, yummy food or even a game of beach volleyball along the picturesque boardwalk. Whether you have children or not, you are certain to enjoy one of the most fun things to do in Iowa, Okoboji this weekend. 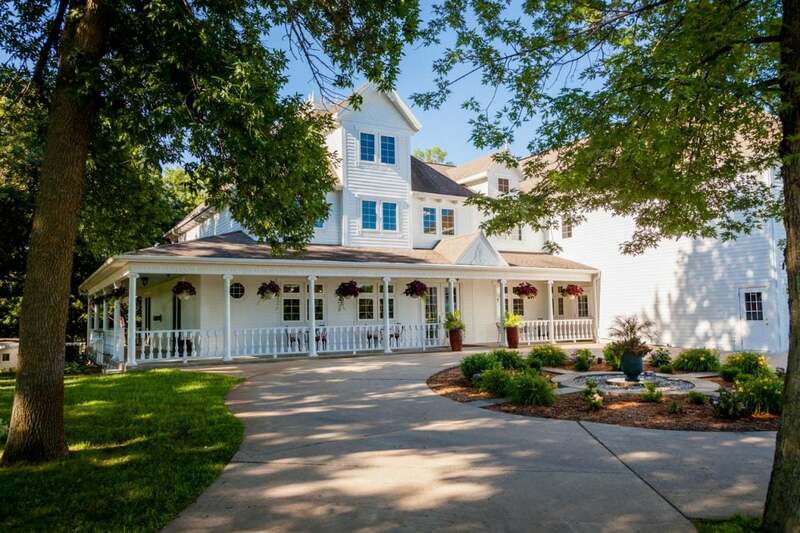 The Oakwood Inn sits on an 80-acre oak tree garden estate in Okoboji, Iowa. This adult-only accommodation in Iowa is known for its quiet and relaxing ambience. 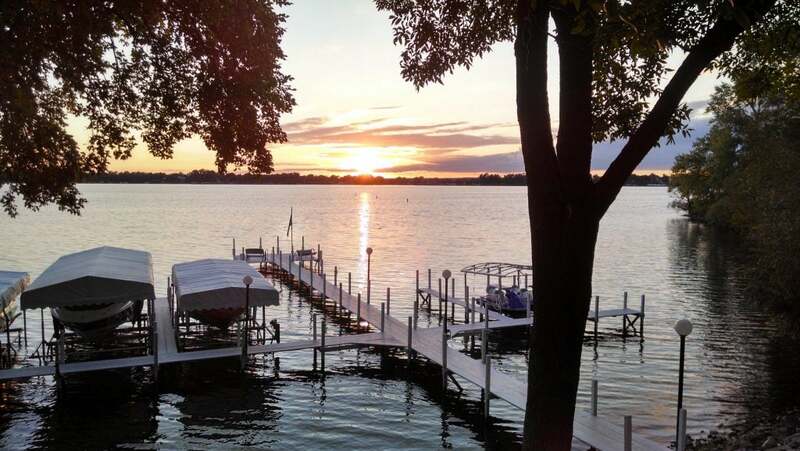 It’s located less than 2 miles away from Iowa Great Lakes and Arnolds Park Amusement Park, this property is one of the most romantic B&Bs in Iowa, Okoboji. Maybe the most romantic aspect of this beautiful B&B is the tranquil garden area. It features ponds, intricate landscaping and aromatic smell of fresh flowers. Nestled right next to Iowa’s three largest natural lakes is Boulders Inn and Suites. This Milford hotel offers couples the perfect romantic getaway in Iowa this weekend. Boulders Inn and Suites has close lake access and romantic in-room fireplaces. The romantic in-suite jacuzzies makes this hotel the best Iowa hotel with Jacuzzi in room. Couples who stay here will have convenient access to Arnold Park, all three of the Iowa Great Lakes, the historic Abbie Gardner and Emerald Hills Golf Clubs, and more. Be sure to check out this beautiful lakeside hotel in Iowa for your next Iowa vacation. No matter your budget or honeymoon preference, there’s accommodation perfect for your romantic getaways in Iowa. Airbnb is also big here; you can find some awesome places to stay in Iowa for your romantic getaways, here’s $35 free credit. If you want to save on the best hotels in Iowa, here is $20 AUD off your next hotel with booking.com. You’d rather not think about all of the things that might go wrong on your romantic getaways in Iowa, but these things can and do happen. We like to think of travel insurance as a safety net, as it’s saved our butts big time on more than one occasion. We had our bags stolen, with passports, cameras and a decent chunk of money, and thanks to travel insurance we were able to replace these valuable items. I fell ill on our honeymoon and had to spend a week in the hospital, which racked up a huge debt. Without travel insurance, we would have been in thousands of dollars of debt. It’s not worth the risk to travel without insurance! Keep your mind of ease on your romantic getaways in Iowa by travelling smarter and safer with World Nomads travel insurance. These guys are the best in the business with affordable coverage for you and your lover on your Hawaii honeymoon travels. Before booking your romantic getaways in Iowa make sure that your visa is sorted and approved. We always organise our visas through Visa HQ. They’re a reputable company that arranges visas for the vast majority of nationalities. No matter your nationality or travel location, Visa HQ will sort you out! It’s incredible how much there is to be discovered in Iowa! With so many incredible places to visit in Iowa, visitors enjoy coming back frequently for their romantic getaways in Iowa. From weekend getaways in Dubuque to honeymoon suites in Des Moines, your visit here can be as serene or luxurious as you’d like. Stay in one of the coolest themed rooms in Iowa, at Mont Rest Inn. Go for an interactive tour in Baraboo, Iowa with the exciting Spirit Walk. Or enjoy a budget-friendly Iowa day trips to Crystal Lake Caves or the Reiman Gardens. No matter how or where you chose to spend your Iowa vacations, your midwestern holiday is sure to be an unforgettable experience.